Proposed by Italo Pardo, Urbanities was founded in 2011 by a group of anthropologists and sociologists under the chair of Giuliana B. Prato and is edited by a Social Anthropologist ─ Italo Pardo ─ and a Sociologist ─ Jerome Krase. Urbanities has established a partnership with the International Urban Symposium (IUS) and the IUAES Commission on Urban Anthropology (CUA). The journal’s scope is to provide a forum for debate on issues of scientific and public interest worldwide. It aims at providing the scientific community and the general public with up-to-date news on urban research and its relevance in understanding the social, cultural, political, economic and environmental changes of today’s world. Urbanities is an open-access international peer-reviewed academic journal. The Editorial and Scientific Boards reflect the journal’s aims and broad ethnographic spread, and include international scholars of high calibre who specialize in different ethnographic, theoretical and disciplinary fields. 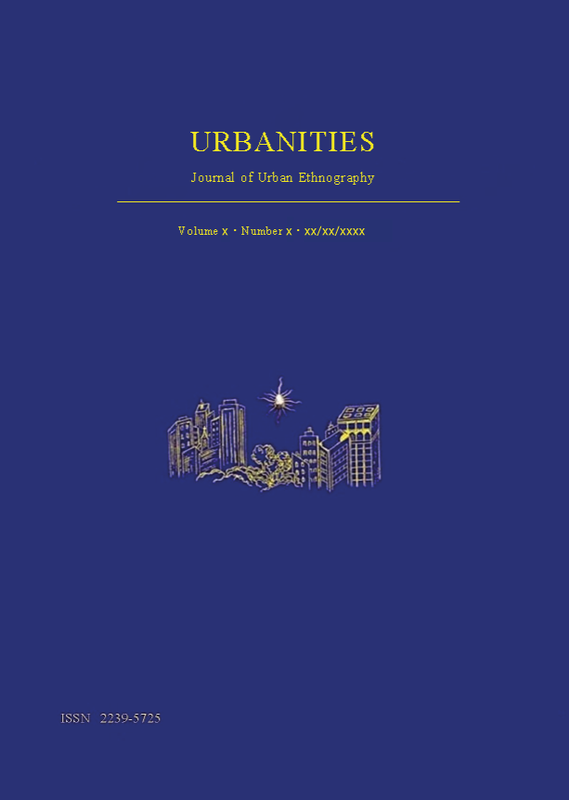 Urbanities aims at publishing original articles by established and younger scholars, at exploring new trends and debates in Urban Ethnography that promote critical scholarship and at highlighting the contribution of urban research to the broader society. Committed to promoting cross-disciplinary debate, Urbanities welcomes contributions on research at the forefront of disciplines in the Social Sciences and the Humanities, including Anthropology, Sociology, Geography, History, Political Sciences, Economics, Architecture, Archaeology. Articles published in the journal are ethnographically based and address theoretical, methodological or public issues concerning all aspects of urban research. Alongside full-length scientific articles, Urbanities publishes review articles, book reviews, film and video reviews, obituaries and news on research done and in-progress and on recently completed doctorates in urban anthropology, sociology and other social sciences and the humanities. In order to stimulate debate, Urbanities encourages publication of letters and comments. It also publishes brief announcements of forthcoming conferences and other relevant events, conference reports, university courses and jobs; announcements from Publishing Houses.